More than a billion stars form the whirling spiral galaxy Messsier 33 (M33) in the constellation Triangulum. Its spiral arms glow blue with the light of hot, new stars. Older, yellow stars populate the nucleus. 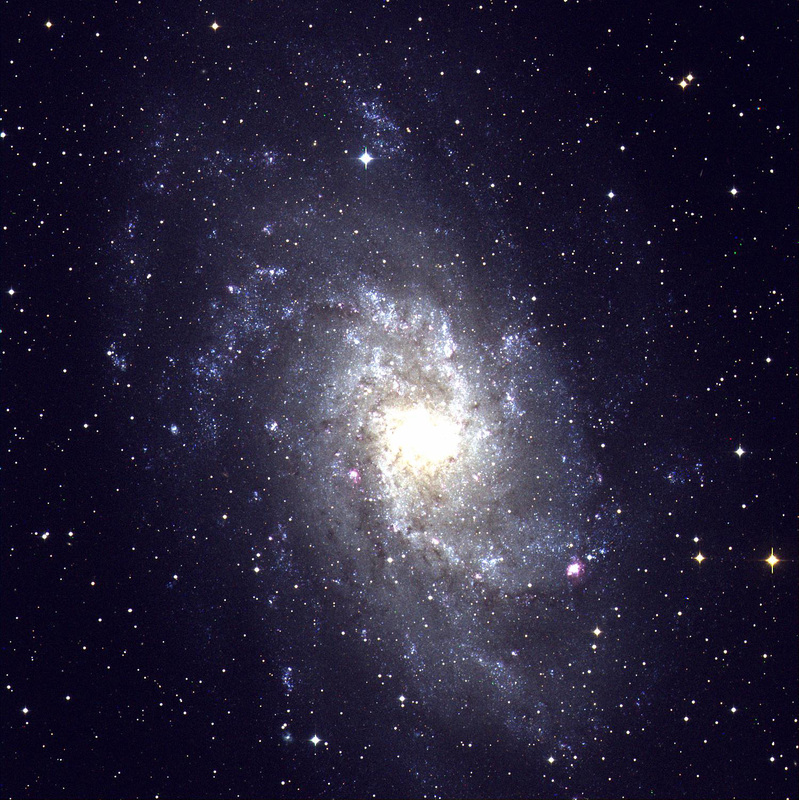 At a distance of only 3.5 billion light-years, M33 is one of the nearest spiral galaxies. This image was made with the 0.8-meter Telescope at McDonald Observatory, with the Prime Focus Corrector instrument. Credit: Tom Montemayor/McDonald Observatory.